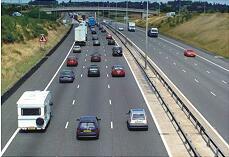 More and more expressways are built nowadays. It helps the economic development. But it also increases the rate of the traffic accidents. In order to reduce the rate of traffic accidents, government decided to install surveillance system in expressways to monitor the safety and regulated driving of vehicles. Because the terrain environment of expressways are complicated, the density of overall monitoring is low because there are many surveillance blind spots. It will be inconvenience to use wired system because it needs to install many cables to complete the surveillance. Facing with these special situations, wireless system is the best choice in this project. On one hand, it eliminates the limit of distance and space, improves the flexible of network system. 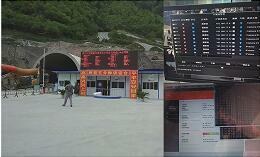 On the other hand, monitor staff can monitor remotely even in the office by using wireless system. Government can monitor and control the scene anytime, providing scientific evidence for project decision. After discussion, we used CN356-H to set up wireless system for date transmission in this expressway project. *Make sure the network system is highly flexible. Because of the blind spots and curves on expressways, it is difficult to install wired system. Therefore, wireless system is the best choice in this project. *Make ensure the date can transmit back to monitoring center quickly when there has a traffic accident. *Restriction requirement for the construction of surveillance system is high because of the specificity of expressway. Wired system needs many staff to install for a longtime, it not only increases the cost of project, and also increase the risk of potential safety problems on construction. 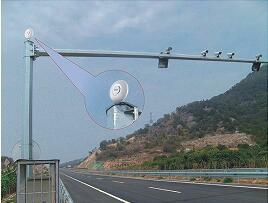 *It is more difficult for maintenance surveillance system on expressway than normal industry project. Therefore using wireless system is a better solution, because it is convenience on maintenance, stable system, without the instability of cable aging. Next： The CPSE ends in a sea of applauses !